Was there a better way for Red Sox to spend? It’s not often you can get an elite player like Josh Hamilton for five years. There are different ways to construct a baseball team, and the Red Sox chose their own interesting path for 2013. So far they have succeeded in protecting their second pick by not going after a free agent requiring compensation, instead using older, complementary veterans to round out their lineup. On paper, the team doesn’t knock your socks off, but that doesn’t mean it won’t be effective. Consider that Carl Crawford, Adrian Gonzalez, Josh Beckett, and Nick Punto — the four players the Sox shoveled off to the Dodgers last August — will earn around $60 million this year. That’s $60 million the Sox had for a shopping spree. They could have made a deal with the Marlins for Josh Johnson and Jose Reyes but would have had to sacrifice some top prospects, which they were willing to do in 2006 ( Hanley Ramirez, Anibal Sanchez) in a deal that, in effect, led to the 2007 World Series championship. Not this time. If righthander Juan Sandoval earns a spot on the Rays’ pitching staff, he’ll join a select group of players who were able to overcome significant physical challenges to play in the major leagues. Instead, the shopping spree yielded Mike Napoli, Shane Victorino, Jonny Gomes, David Ross, Stephen Drew, and Ryan Dempster. Quantity, yes, but more Marshall’s than Nordstrom’s. 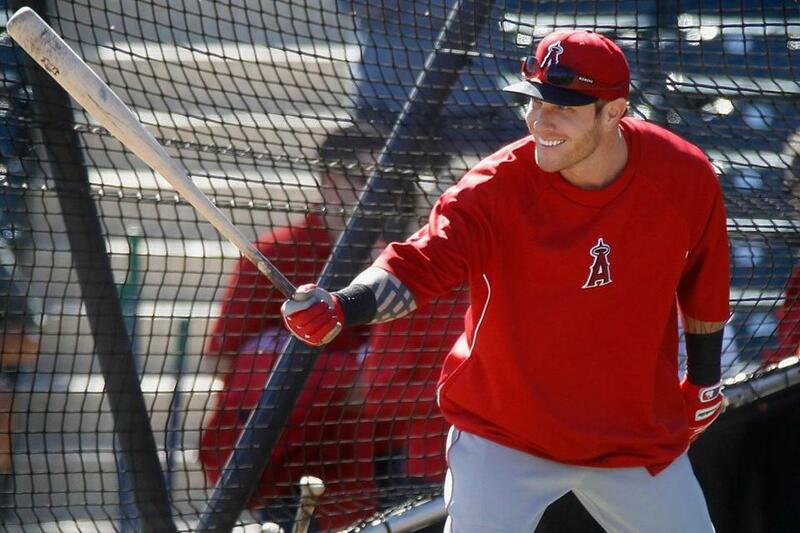 Sign Josh Hamilton to a five-year, $125 million deal (which he got from the Angels). Sign Adam LaRoche to a two-year, $24 million deal (which he got in Washington). Re-sign Cody Ross to a three-year, $26 million deal. Sign David Ross and Dempster. In our scenario, you have an elite player — offensively and defensively — in Hamilton, who makes everyone in the lineup better. And you have a plus defender at first base in LaRoche, who will likely hit for average and power (33 homers, 100 RBIs, and a Gold Glove last season). You’d be taking on five years of Hamilton, which seems reasonable. You’d be taking on two years of LaRoche, not really a long commitment (and there are few first base prospects in the system). You’d lose your second draft pick (and the money associated with it), but you’d still have your top 10 pick. You also retain Ross, a battle-tested Boston player who was popular with the Fenway fans. Granted, he wasn’t the best right fielder, but left field at Fenway would have suited him, and he is a better overall defender than Gomes. It’s not often you can get an elite player like Hamilton for five years. There would be no seven-, eight-, nine-, or 10-year contracts like the ones given to Prince Fielder, Albert Pujols, Alex Rodriguez, Miguel Cabrera, Joey Votto etc. The hesitation on Hamilton, obviously, stems from the personal demons he’s had to battle. But he’s played with them at a high level for six years. Why now, as he matures, would the demons all of a sudden get the better of him? He hit 43 homers and knocked in 128 runs in 2012. The Sox haven’t made good decisions on major free agents the last few years, but that doesn’t mean they can’t. They just have to commit to the right one. They needed an impact hitter in the middle of the lineup to go along with David Ortiz. A lineup with Hamilton and LaRoche would have made the two-year, $26 million investment in Ortiz even better because he would have had more offensive support. In Napoli, the Red Sox wound up signing a player with a degenerative hip condition, one they are so concerned about that they reduced his deal from three years to one. Napoli is expected to be just fine on his one-year deal, but he does not offer them a long-term solution at first base, where they’ve been thin since dealing Kevin Youkilis and Gonzalez. In Ross, Hamilton, and LaRoche, they’d have players with 2012 OPSes of .807, .930, and .853, as opposed to Victorino, Napoli, and Gomes, who were at .704, .812, and .868. While Gomes had a higher OPS than Ross, Ross is more of a full-time player. We still don’t know who will platoon with Gomes in left. Ross, Hamilton, and LaRoche hit a combined 98 homers and knocked in 309 runs. Victorino, Napoli, and Gomes hit 53 homers and knocked in 158 runs. The WAR numbers (wins above replacement), which are designed to measure how many more wins a player provides as opposed to a minor leaguer, are also interesting. Hamilton’s was highest at 4.4, followed by LaRoche at 4.0, Victorino at 3.3, Ross at 2.4, Gomes at 2.1, and Napoli at 1.4. David Ross was at 0.8 and Drew at 0.5. With Ross, Hamilton, and LaRoche, you have three players who are at least steady or on the rise. With Victorino and Napoli, you have two players who declined in 2012, while Gomes had a nice year against lefthanded pitching. With LaRoche, Hamilton, and Iglesias, you would have had plus defenders at three positions. 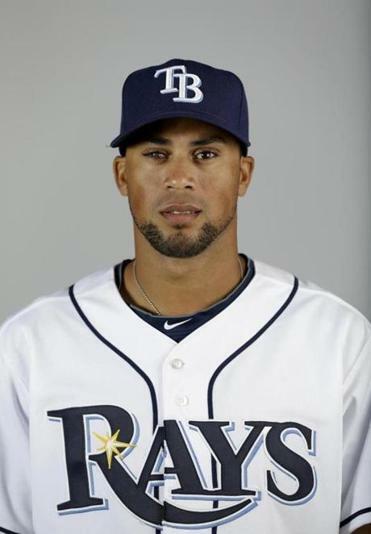 With Victorino, Gomes, and Napoli, you have only one (Victorino). Red Sox owner John Henry said that Bill James spewed out all sorts of data supporting the selection of players that make up this team. The data, which included the very important ballpark factor of Fenway Park, were compelling. But there are also intangibles. What impact would Hamilton have had on the rest of the lineup? How would he have changed the way pitchers work to the other hitters? We’ve mentioned that there’s not a lot protection for Ortiz, who is the centerpiece of the lineup. Ortiz was a huge advocate of the Red Sox obtaining Hamilton, for that reason. We’re curious to see how this all works. If you haven’t seen him, Red Sox catcher Christian Vazquez looks like a clone of Phillies catcher Carlos Ruiz. “Some of the coaches tell me I look like Ruiz,” Vazquez said. He may resemble him as a player as well. Vazquez is shorter, squatter, but he has tremendous mechanics and he may be Boston’s best defensive catcher while also coming on with the bat. Ruiz works out regularly in the offseason with Yadier and Jose Molina and has learned many of their habits behind the plate. He is one of the best catchers in baseball. However, he finds himself having to sit out the first 25 games of the season after testing positive for an amphetamine. Ruiz is able to participate in spring training with the Phillies, but once the season starts, he’ll have to disappear. “It’s a big loss right off the bat,” said Phillies manager Charlie Manuel, “but we’ll get through it fine. “Carlos is here working with the pitchers and doing the work he normally does with them. Once he gets back, he’ll hit the ground running. Ruiz, who is 34, had an excellent 2012 season, hitting .325 with 16 homers and 68 RBIs in 114 games. Right now, the Phillies are getting a good look at Erik Kratz, who hit only .248, but with 9 doubles, 9 homers, and 26 RBIs in 141 at-bats. Kratz also threw out 45 percent of base-stealers (15 of 33). But Ruiz is becoming a player the Phillies can’t live without. It’s undeniable what he does for the pitching staff. Ruiz is also one of the game’s most fun-loving players. A gleam came to his eye when he was told the Red Sox have a catcher similarly built who could be the next Carlos Ruiz. “I don’t know him, but I’m going to check him out,” Ruiz said. “You don’t hear that too much about a guy like me, that some young guy reminds people of me. That’s nice to hear. 1. It would be great to see any of the Red Sox major limited partners — Mike Gordon (Fidelity), Phil Morse (founded North American Instrument Corp), or Frank Resnek (Churchill Forge Properties) — get his own team. Gordon recently acquired more of the team in his purchase of some New York Times shares. 2. Between major and minor league camps, the Red Sox may have their all-time high in pitchers: 73. 3. The Cubs’ Alfonso Soriano and David DeJesus, San Diego’s Carlos Quentin, and Kansas City’s Jeff Francoeur all seem nice fits for the Yankees now that Curtis Granderson is out for at least the first month of the season with a broken hand. 4. Did the Red Sox miss an opportunity to hire a pitching coach superstar (described as a “game-changer” by one American League executive) in Rick Peterson? Peterson continues in his role as director of pitching for the Orioles and should have a tremendous influence on prospects Dylan Bundy and Kevin Gausman. 5. Six months, five teams. That’s the plight of Lars Anderson. After the Red Sox traded him to the Indians for knuckleballer Steven Wright last July 31, he has also been with the Diamondbacks, White Sox, and now Blue Jays. 6. The White Sox have had eight straight losing spring trainings in Glendale and Tucson, with a 98-152 combined record in those years. 8. The Red Sox player you won’t beat to the ballpark in the morning: Jarrod Saltalamacchia. On most days, he arrives between 5-6 a.m.
9. Joe Mauer’s wife, Maddie, is having twins. 3. Jurickson Profar, SS, Rangers — There is some sentiment in the organization to keep Profar as the utility infielder. He needs to play well at both shortstop and second to convince the front office that getting sporadic playing time in the majors rather than playing every day at Triple A will not impede his development. 4. Robinson Cano, 2B, Yankees — “I would love to be Robinson Cano right now,” said an NL executive. “He’s going to have the Yankees and the Dodgers offering him a record amount of money.” Indeed. Brian Cashman has already offered a “significant” contract, but if you’re Boras, why bite? The Dodgers are willing to spend a fortune on anyone. And if they don’t play up to expectations, even more reason to make an all-out effort for Cano. 5. Jorge Soler, OF, Cubs — The Cuban defector has opened eyes, particularly with his arm. He nailed Josh Reddick going from first to third with a dart. “He shows a really good first step in the outfield, takes good routes, and has a plus arm with a lot of accuracy and carry,’’ said Theo Epstein. The Cubs won’t rush the 19-year-old, but he can’t be that far away, either. 6. Jeff Francoeur, RF, Royals — He had the worst WAR among everyday players in 2012, but at age 29, he feels he’s entering his prime hitting years. Surely, he’s one of the best right fielders in the game, with one of the strongest, most accurate arms. Would the Royals deal him? It appears so. 7. Jim Thome, DH, free agent — The 42-year-old could return to the Twins, who continue to look for a bat off the bench. Thome appears to have chronic back problems under control and can still hit. 8. Giancarlo Stanton, RF, Marlins — One AL executive makes a good point: never rule out the Tigers as a major player for Stanton when the time comes. Tigers GM Dave Dombrowski has strong ties to the Marlins from his time with them. He also appears to have the chips in third baseman/outfielder Nick Castellanos, outfielder Avisail Garcia, righty Rick Porcello, and others. From the Bill Chuck files: “In Adrian Beltre’s pillow year with Boston in 2010, he hit .321, drove in 102 runs, and had an OPS of .919. Last season with Texas, he hit .321, drove home 102 runs, and had an OPS of .921.” . . . Happy birthday Monday to Rubby De La Rosa (24) and Lee Tinsley (44).